How to Detox in Just Five Days and Enjoy It! When was the last time you went without solid foods for a week? If you haven’t ever done so, here are some tips to do so easily and to enjoy it at the same time. It’s now a week since I finished my Green Juicing Fast – and what a journey it’s been! For a few days afterwards whilst my body adjusted to solid food again, I almost wished I was back on my juicing fast. The key learning for me was this – most of us eat much more than we need to! The body uses up so much energy to digest and clear out the “junk” food which we eat – and when we stop eating such food, our body has so much more energy for us. We feel that much more vibrant, healthy and alive! A while back, I carried out a wonderful five day detox with just apple juice, but this time I was able to have other vegetables too. I highly recommend that you too undergo a Green Juicing Fast as soon as you can. It could be life changing experience. Remember that the juice fast is an excellent time to reflect on your eating habits, your lifestyle and even your life. Take the time to really focus on the emotions you will experience, and learn to listen and understand your body better. 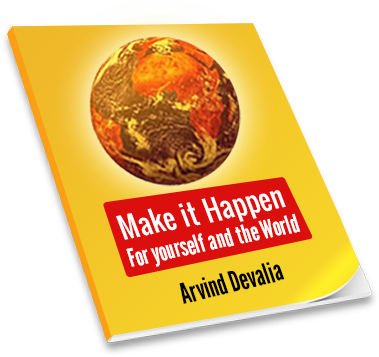 Since you are making such a tremendous commitment, be determined to reap all the benefits that you can. First thing you can do is to review just where you are now. 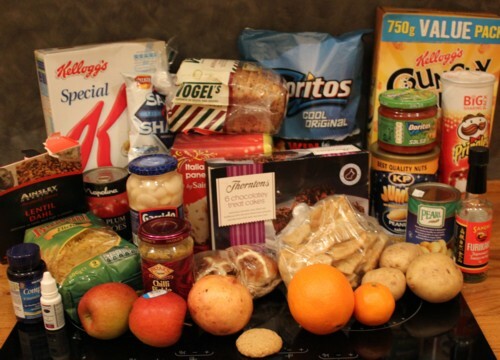 If you look at your current eating regime, you’ll be surprised how much processed food you currently eat. I thought I had a fairly healthy diet but around Xmas and New Year time I had let it go a bit. I was shocked to find out how much processed food had built up in my kitchen over the Xmas period. So I decided to take drastic action and cleared out most of the processed foods in the picture. You may not be ready to take such drastic action, but I challenge you to be honest with yourself and look at your larder. What processed foods can you stop eating!? You do need to commit to the juice fast for a set number of days. I chose to do mine for 5 days but you could choose 7 days or more depending on your intention and circumstances. It does take a lot of planning, preparation and commitment to keep going. Be committed – no half measures! Once you do make this commitment, you’ll need the discipline to maintain your juicing regime. It does take time and effort to source the best vegetables, juice them and to clear up afterwards. And of course it takes discipline to keep going for the duration of your fast. I found it got easier after the first 2 days to remain committed to the juice fast, as my body adjusted and it began to thrive on highly nutritious juice. You do feel tired some of the time during the fast so allow yourself plenty of free time and rest periods. Also do not take on heavy social commitments or do your fast during a busy work period. Your body does a lot of detoxing during the green juice fast so you want to give it plenty of tender loving care. I cancelled all social commitments and spent a lot of talk on my own and walking in nature. These gentle walks also helped in my preparation for the London Marathon in April. Also, the juice fast affected my sleeping pattern as suddenly I had lots more energy and I couldn’t fall asleep till late. But though I slept less, it was a much deeper and relaxing sleep. The greatest benefit of a juicing fast is your increased self-awareness about your eating habits. Like me, you may discover just how much “junk” food you eat – and with this awareness you will naturally start eating less junk food and eat more nutritious, vibrant food. You will also learn how much grazing you really do! The other learning is you get to see how you dissipate your natural energy by focussing so much on food. When you know you are going to be consuming a healthy green juice every few hours, you don’t waste time on preparing and planning your usual meals. The best part of my Green Juice Fast was having someone else do it with me at the same time. Farnoosh Brock undertook the fast at the same time as me and it was great to work with a juicing buddy, albeit virtually. So when you undertake your fast, do also buddy up with someone – it will make your juicing journey even more fun. It gave us a chance to discuss what was going for each other. 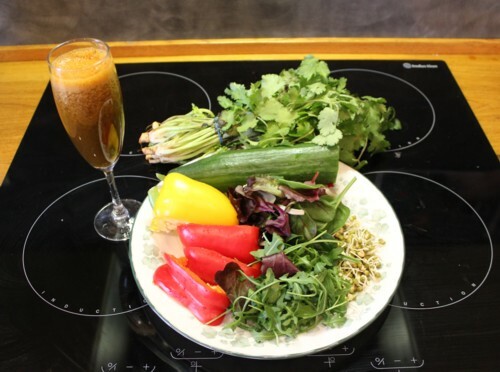 The best part for me was to be able to try out different juices and to learn Farnoosh’s recipes in her Green Juicing Guide. Just one word of caution – you do have to break your juice fast gently as otherwise you might get belly aches or headaches. The body takes time to adjust to “normal” food again. Living on vibrant, healthy, living food in juice form is clearly good for us. 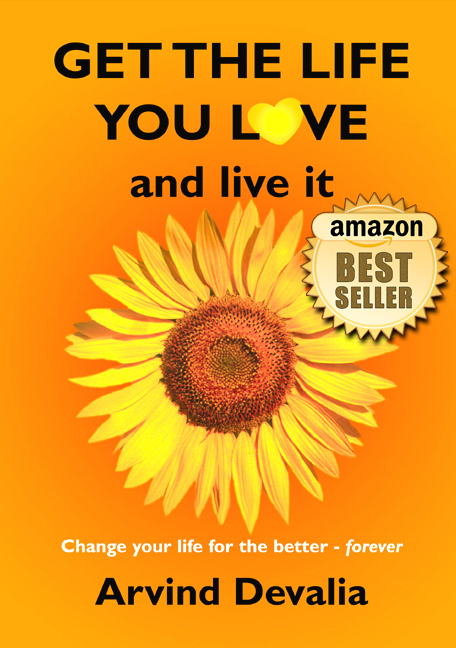 I highly recommend that you do try out this five day detox via juicing – it could be a life changing experience for you! I thought I knew a lot about juicing already but Farnoosh has taught me a lot more and has inspired me to try out her 10 juice recipes and make them part of my daily diet. With Farnoosh’s 10 recipes, you’ll never need to look any other juicing recipes or books. These green juicing recipes will keep you energised and vibrant for the rest of your life –all you have to do is try out one or more every day. 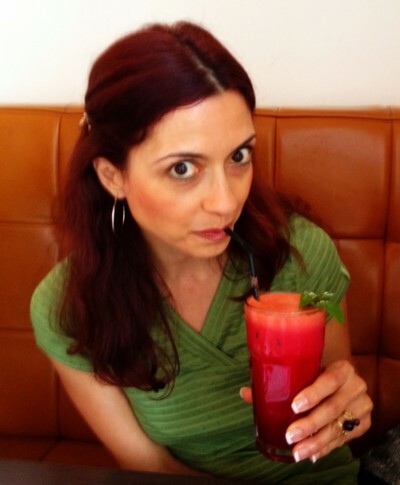 Check out Farnoosh’s Green Juicing Guide for yourself. And do let me know how you get on. You just know that detoxing regularly makes sense – and you might as well do it the fun way! Who else is taking up the juicing challenge? Angela, in that case I urge you to try a 5 day juicing fast as soon as possible! Your juicing post is enticing me to give it a try. I have some alone time coming up, which might be a good time to go on a juice fast. It does sounds so healthy! Cathy, please do carry out the juicing fast as soon as possible, but ideally during your alone time. I totally agree with all of your tips. This is awesome info. Huge thanks for sharing it. Melody, you do look really healthy already in your pictures and videos. I like what you say – if you have a regular healthy diet, then you don’t need to undo any damage. Keep up the healthy eating regime. Until two years ago, we would fast every Thursday or Saturday and found it tremendously energizing to be on a liquid diet – mostly fruits. Of course I cheated with one cup of coffee in the morning because I believed I was addicted to it. Then later, found I really wasn’t. All I had to do was change my habit, replacing coffee with water in the morning. There are many days I skip a meal in favor of juice and I must admit, it feels very good. I do hope to try a five day juice fast like you, though. Not sure when as I have a schedule that may not work for it. Probably when my son’s summer vacation starts – that would be the ideal time. I was really looking forward to this post, Arvind and eager to know the details. Thank you! Vidya, good to know you are already familiar with the benefits of occasionally fasting and giving your body a rest from digestion. And well done for realising that coffee “addiction” is simply a habit! Enjoy your 5 day fast as and when you do it next. I juice regularly now and love it. Gotta really do some planning on the 5 day juice around my husband mainly!! I too really focus on a healthy wholesome diet, yet I’m amazed how much processed food sneaks into the house! Certainly not all by me, but some of it I have to own up to. Mahalo for taking us on this journey and providing the inspiration to do it. Jt, so true – it’s amazing how much processed food sneaks into the house! Living in Hawaii, you have access to so much freshly produced vibrant food – why would you ever need any thing processed!? I love this post. I would have been part of the juicing fast with you and Farnoosh had my juicer not taken longer to be delivered than I thought. In my late teens, I did a lot of fasts, but always with the mindset of losing weight. It never worked. LOL Now, I know that the reason to fast is not to lose weight, but to connect with yourself again. It is a time for reflection and a time to let go. Whenever you go on another juicing fast, I am with you. And you are spot on – we do the fast not to lose weight but connect with ourselves again. Let’s all do the fast again soon! WOW I never even knew this was possible, the thought never occurred to me. It’s making me think back to the first time I fasted for 36 hours, what an incredibly valuable experience. Yongho, welcome to the world of juicers! Wow, congratulations on completing the fast. I’ve always wondered about doing this but couldn’t do more than a day. Laura, I challenge you to take on the five day juicing fast! Take it one day at a time and you’ll soon be through 5 days. I agree with the say that discipline is the most important thing in obitanig such a process. I think that doing it with a few more people at the same time can realy help one to focus on his goal and achieve it. Tammy, indeed. Support from others will ensure that you’ll have the discipline and also the support structure to sustain the juice fast.